If your Christmas tree was anything like mine, you had to hack a few branches off the bottom of it to make it fit into your stand (whoops). 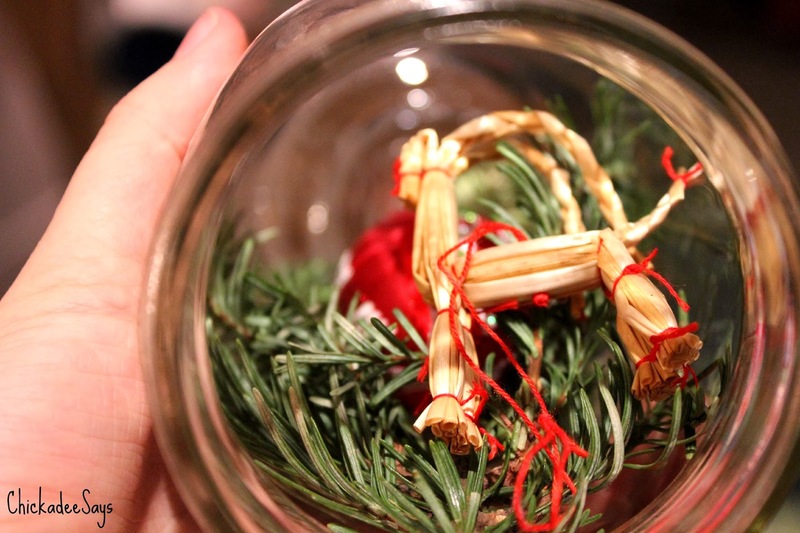 I knew I had to keep some of those delicious smelling branches to create something gorgeous. 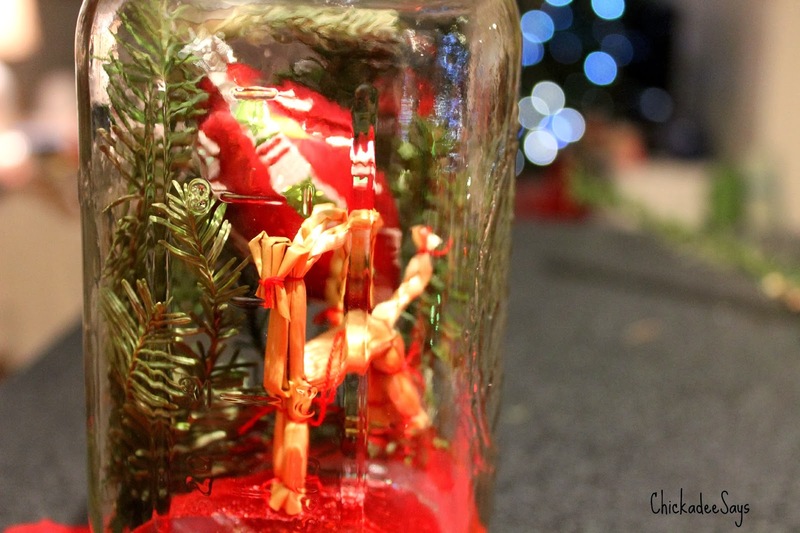 I thought a fun little DIY Christmas project would be a great way to spend Christmas Eve! 1. 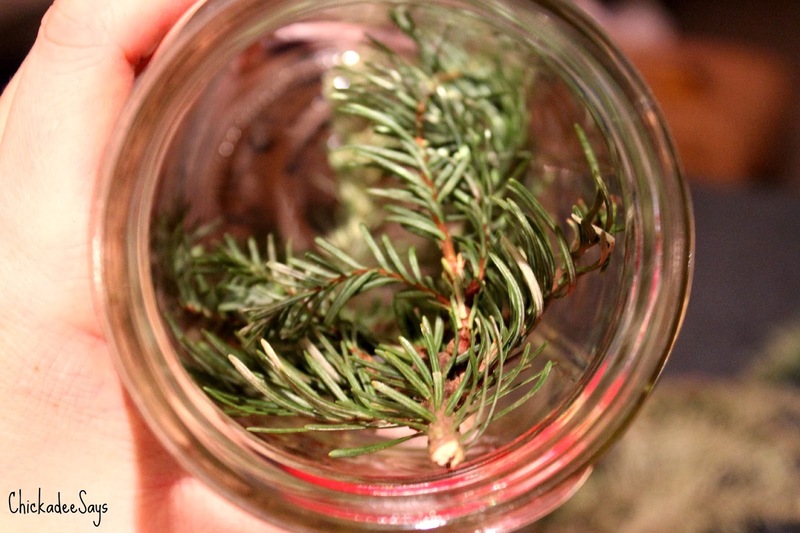 Arrange cut branches into a clean glass jar, with the tips of the branches facing down to the bottom. 2. 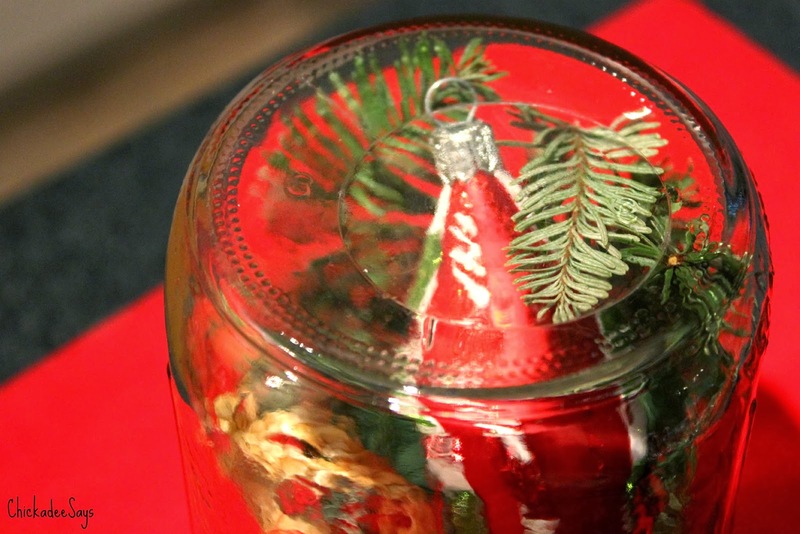 Place ornaments among the branches, once again facing the tops of your ornaments towards the bottom of the jar. 3. 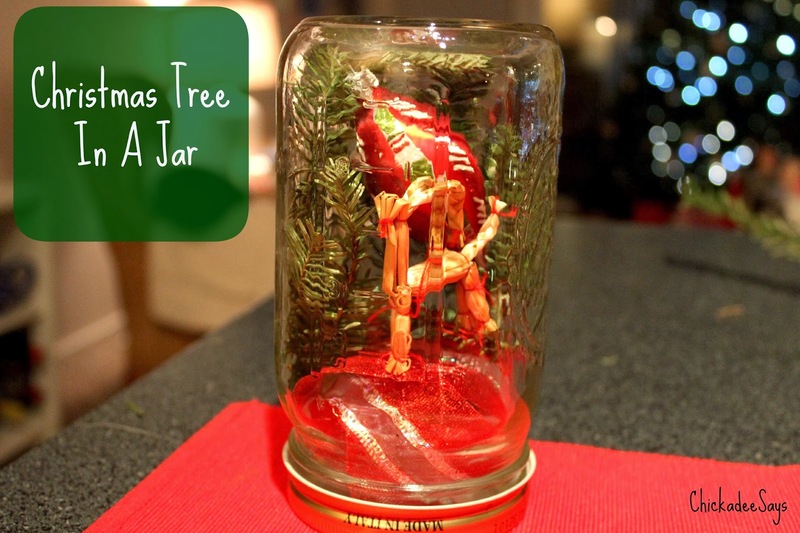 Glue or tape a round of ribbon to the jar’s screw top. 4. Screw the lid on and flip the jar so it is downside up. 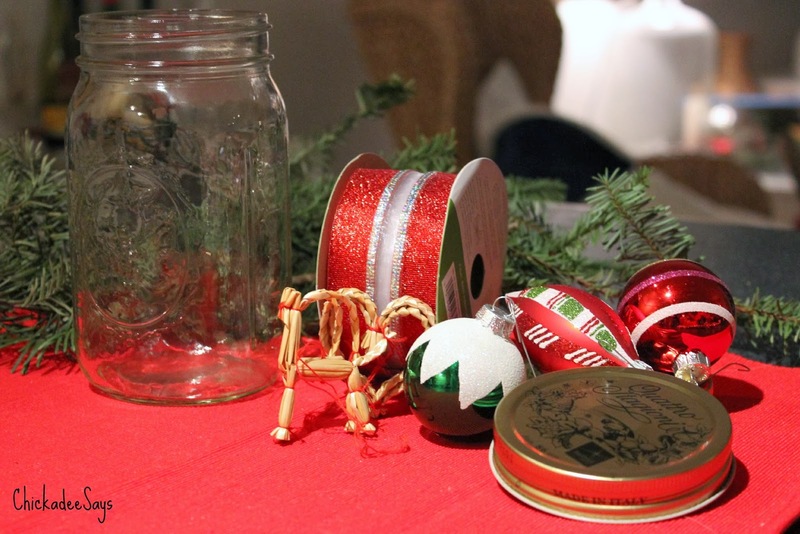 I loved this little project’s simplicity and it adds such a fun bit of whimsy to any holiday display. 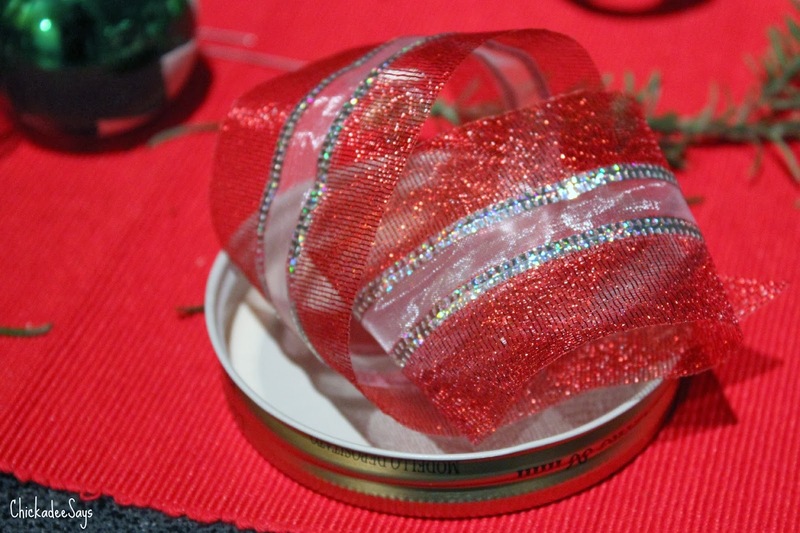 Do you have any favorite holiday-time crafts? Let me know in the comments below!